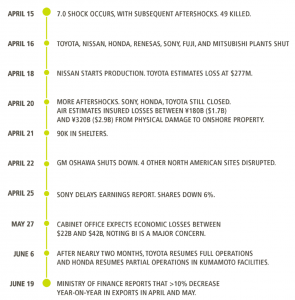 The consequences of the earthquakes for the Japanese were significant, but they were also felt globally because of interconnected supply chains in the automotive industry. 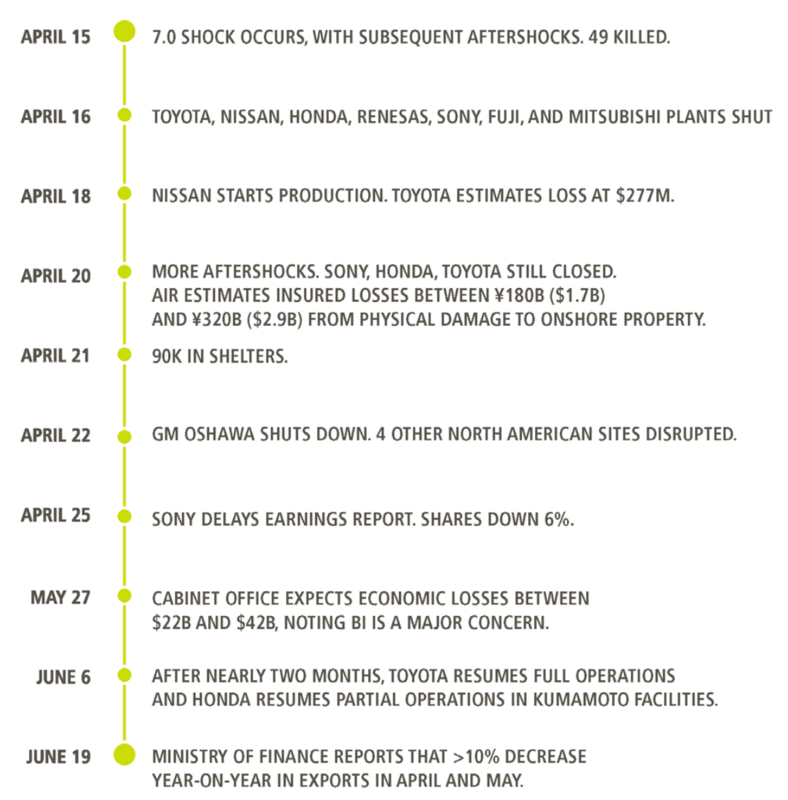 Many manufacturing plants shut down for several days to months, causing more than $20 billion in losses due to business interruption (‘BI’ in the timeline above). Reprinted from AIR Worldwide, with permission.